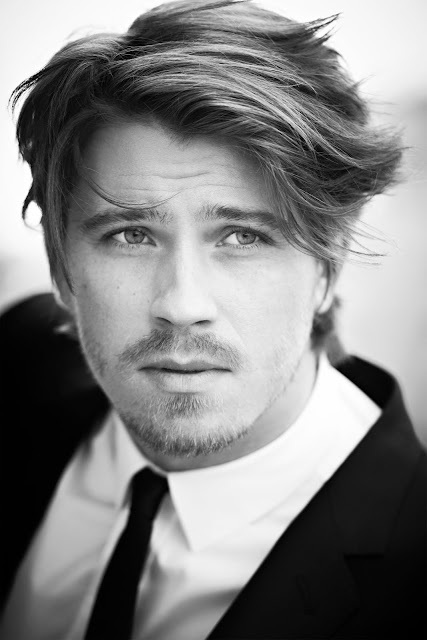 Garrett Hedlund is the new ambassador of the men’s fragrance LA NUIT DE L’HOMME by Yves Saint Laurent Beauté. “ Yves Saint Laurent expresses a unique style between elegance and freedom, sophistication and daring. 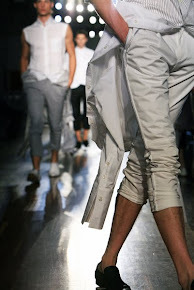 The brand embodies the spirit of a very strong and virile man , who also assumes his great sensitivity. Garrett Hedlund expresses this duality to perfection. He has also taken on some real cinematic challenges which show a man with a strong personality fully assuming his choices and convictions ” - Stephan Bezy, International General Manager of Yves Saint Laurent Beauté. American actor Garrett Hedlund was born in Minnesota and was just eighteen when he won a role in the epic film Troy (2004) directed by Wolfgang Petersen. Playing opposite Brad Pitt, he portrayed Patroclus, Achilles’ impetuous cousin. Garrett Hedlund’s subsequent selection of movie roles went on to reveal a profound personality, an artistic sensibility and a strong capacity to play a wide range of characters . Following his debut in Troy, Garrett went on to portraying the son of an abusive father in the sports drama Friday Night Lights (2004). He then played a more tragic figure in a role alongside Mark Wahlberg as one of the brothers set on revenge in John Singleton’s thriller Four Brothers (2005). Friend and rescuer of Eragon in the dragon fantasy of the same name followed in 2006. Garrett Hedlund then portrayed a gangster in the 2007 thriller Death Sentence opposite Kevin Bacon. In 2010, he starred in Disney’s mega - adventure Tron Legacy (2010) opposite Jeff Bridges which was directed by Joseph Kosinksi . His latest roles include Country Strong (2011) playing a rising young country star opposite Gwyneth Paltrow and Walter Salles’ On the Road which has garnered Garrett Hedlund positive critical reviews and made its debut at the Cannes Film Festival. Garrett Hedlund’s next two films scheduled for release this year include the Coen brothers Inside Llewelyn Davis, recounting the folk music scene in New York in the 1960’s and the independent feature film Lullaby co-starring Richard Jenkins and Amy Adams. Today, the actor is renowned as one of Hollywood’s most promising new talents. LA NUIT DE L’HOMME is a fragrance full of contrasts , spanning its fresh, explosive top note (Cardamom and Bergamot) and its extremely sensual, intoxicating , oriental base note ( Coumarin and Vetiver). LA NUIT DE L’HOMME stirs the senses to dizzying heights . A contemporary fragrance created by Anne Flipo, Dominique Ropion and Pierre Wargnye.